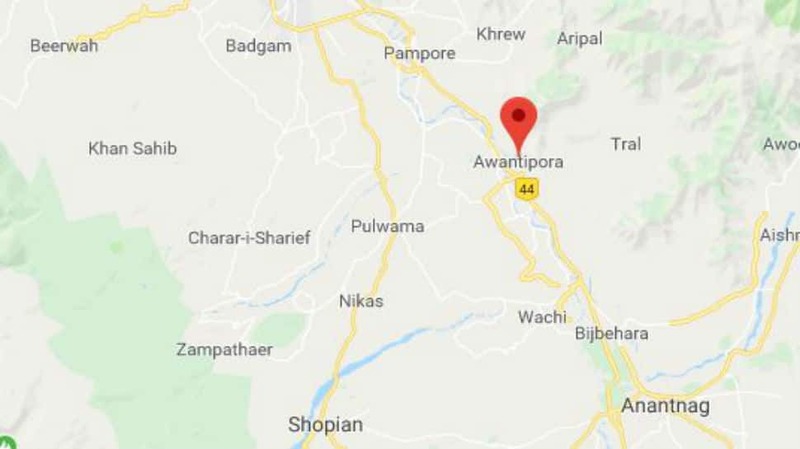 Srinagar: At least eight Central Reserve Police Force (CRPF) soldiers of the 54 Battalion were martyred when their convoy was blasted using IED by terrorists in Goripora area of Pulwama’s Awantipora on Thursday afternoon. According to news agency PTI, officials said that Jaish-e-Mohammed has claimed responsibility for the IED blast targeting CRPF personnel. The IED was planted in a car on the road and as soon as the vehicle carrying 20 soldiers came near it, the terrorists triggered the blast. The terrorists then opened fire on the vehicle, was going towards Srinagar from Jammu, and the injured soldiers. More security forces have been rushed to the area and the spot where the convoy was hit has been cordoned off by the soldiers.